Shopping Carts | IES Inc.
Sell your products online, accept donations, and more! Increase sales with our one-page, easy to navigate, checkout. Our smart system calculates local currency, tax rates, and shipping rates! The foundation of any functional e-Commerce website is shopping cart module. E-Commerce shopping cart modules has greatly evolved to include far more than a basic virtual shopping cart for customers to add products to. They offer all the essential tools you need to manage all the facets of an e-Commerce website. We combine a powerful Inventory Management system with our user friendly built-in content management to provide a reliable, secure shopping cart solution for your website. Our shopping cart module allows you to accept credit cards and PayPal payments by integrating with over 50 payment gateways. Your clients can pay for items in their e-Commerce shopping cart using VISA, MasterCard, AMEX or other credit cards in addition to PayPal. Credit card and order data is encrypted and secure. We integrate with Level 1 PCI compliant system and use 128 bit SSL certificates to keep order details secure. Navigation & Search – Powerful Layered Navigation, including but not limited to “bread-crumbs”, organizes categories and products on every page of your e-Commerce site so that customers do not need to click the back button in their browser. They can simply find a category they are interested in and click directly to the product from the navigation bar. Layered navigation not only makes catalog browsing easy, it is completely SEO friendly. Product Displays – Display products in a unique way provide customers with numerous options to view their desired products. Providing multiple views will boost conversion rates. Merchants can reduce customer doubt by putting them at ease with zoom in features and multiple product views. Payments & Gateway Support – We offer comprehensive payment options and integration with accounting software. Our shopping cart is integrated with numerous payment options and business owners can install a desired payment option with one-click. Ensure payment is received and customers are comfortable providing their information. 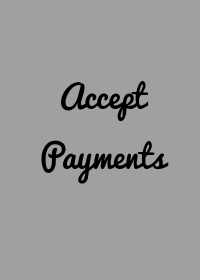 Our payment gateways supports all the major out there, such as Authorize.net, Google Checkout, Paypal, DirecPay, FirstData, QuickPay, SecurePay, Shopify Payments, Varifi, WorldPay, Payment by check, Bank Wire, Merchant Warehouse, and much more. Checkout – An effective checkout page will push conversion rates through the roof! 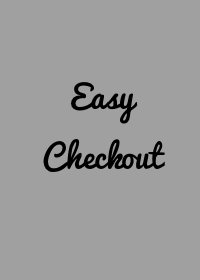 We offer a one-page checkout among other features. You can customize fields to gather certain information. From design to shipping, the checkout process makes purchasing easy for customers. Email, Notifications & Alerts – E-mail Notifications of Delivery Status help you stay up to date! Customers love to track the progress of their purchases. 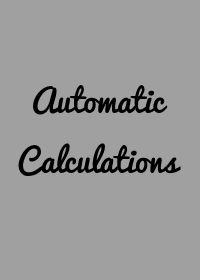 Automatic Tax Rates Calculations – Our shopping cart module is set up to use your local currency. It automatically calculates tax rates based on where your business and buyers are located. Easy Shipping Rate Calculation – Our shopping cart solution allows flexible shipping and is fully integrated with major carriers. You can Set up rates for shipping your products based on product weight or prices. Alternatively, clients can automatically calculate shipping rates from UPS, USPS or FedEx in real-time. Help & Support – We provide comprehensive support resources that you can reference, including a knowledgebase video tutorials. We also provide direct technical assistance via email or telephone. Mobile Friendly at no Cost! – Mobile friendly site included at no additional cost. We also offer Management apps for Google Android and Apple IOS. SEO-Built In – Fixes the shortcomings of traditional CMS and SEO platforms by creating a dedicated URL for each Product, Preventing Duplicate Content, Tags for Each Product.